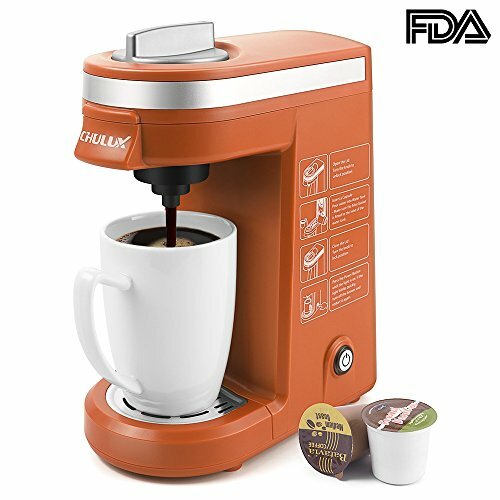 If you are a busy person, this Chulux coffee maker is perfect for you because it can make you a delicious cup of joe by following just a few simple instructions. 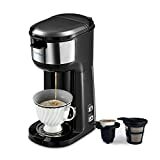 This can be considered as the best single serve coffee maker that works with K-cups and has a very low purchase price. 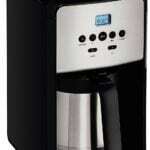 Read on to learn more about this super affordable one cup coffee maker. 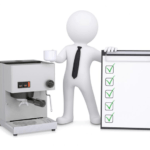 This article will assist you in your search for a reliable coffee maker by providing you with a detailed review of the Chulux Single Serve Coffee Machine. This intelligently-designed Chulux product could just be the most treasured addition to any home or office. 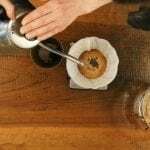 Despite the controversies that cloud its name, coffee continues to be one of the most loved and craved drink throughout many homes around the globe. A lot of us normal folks are all too familiar with the time when we cannot seem to function and get productive until we have had our daily dose of coffee. 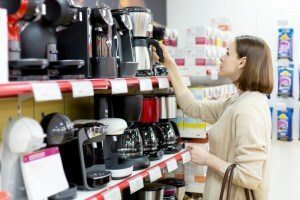 In the fast-paced world that we live in today, it is customary that most households are equipped with their own coffee maker. A lot of families across the world are very much dependent on the warmth, comfort, and boost in energy that a cup of coffee brings them. 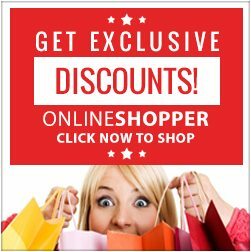 However, it is not always easy to find the best coffee maker that fits our budget as well as matches our needs and preferences. This remarkable machine is specially designed to meet the needs of busy people. 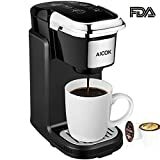 It is packed with a long list of features like other single serve coffee makers that aim to help coffee lovers have a more energetic morning by providing them with a cup of hot, delicious, and rich coffee. With the user’s safety in mind, this coffee machine was designed to have an auto shut-off feature. The machine will shut down on its own once the coffee is done brewing, leaving you with a cup of your favorite beverage hot and ready to be enjoyed. This coffee machine has another added safety feature that you cannot easily find in other similar products—a cool touch exterior. 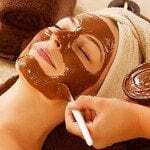 During and after use, its exterior surface poses no scalding hazard and is safe to touch. With the Chulux Single Serve Brewer, you will never have to worry about wasting your good coffee ever again. This coffee maker is specially designed to serve only one cup of brewed coffee at a time. Both homes and offices nowadays are becoming smaller and smaller in size, which means both our furniture and appliances should adjust to it. Good thing, though, is that this coffee maker has a very compact design that makes it very easy to store and transport. An ideal solution to your busy mornings, this machine will provide you with your daily dose of coffee in just a single push of a button. This is perfect for professionals who like to stay on their feet and not waste time waiting around for their coffee to get brewed. This machine is designed to be suitable for most K-cups. This time-saving coffee machine brews your favorite beverage quickly and one-cup-at-a-time. It is equipped with many safety features including a BPA-free exterior that does not get hot, making it safe to use around children. It also does not take up much counter space. 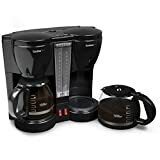 If you are a busy person, this coffee maker is perfect for you because it can make you a delicious cup of Joe by following just a few simple instructions. This machine works with K-cups. 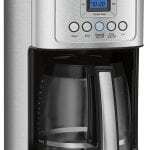 If you are trying to find a single serve coffee maker that is similar to the Chulux machine, then check out the Hamilton Beach FlexBrew. This coffee maker works on both K-cups and ground coffee. 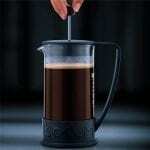 It can provide a 10-ounce K-up or brew a 14-ounce travel mug if you are using coffee grounds. The good thing about the Hamilton Beach Flexbrew is the fact that it comes equipped with an adjustable cup rest. This means that you can use different size cups depending on your needs and personal preferences. The machine is also designed with a water window so you can monitor the progress of your machine. Lastly, the Hamilton Beach Flexbrew is very easy to clean. It has a pack-piercing tool that can be removed for thorough cleaning thereby keeping it from clogging. Like the Chulux Coffee Maker, this unit also boasts an auto shut-off safety feature. 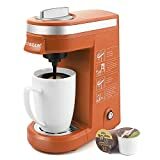 Yet another coffee maker that offers the same functionalities as the first two mentioned above is the Vremi Single Cup Coffee Maker. 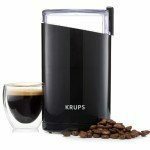 This machine comes with a 14-ounce stainless steel travel mug that is very easy to clean. The Vremi Single Cup Coffee Maker has a sleek compact design, making it easy to carry around. It also does not take up much space on your countertop. 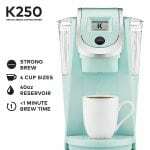 This is the perfect coffee machine for small houses, condo units, dorm rooms, and offices. It also comes equipped with an automatic shut-off function that not only promotes safety but also puts a cap on energy consumption. 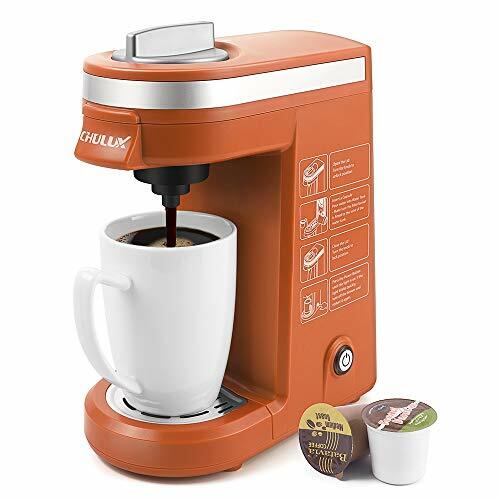 Looking at all the features as well as the pros and cons of each of the products mentioned above, we can all agree that we are better off putting our good money on the Chulux Single Serve Coffee Maker. This unit provides us with an option to choose from five color options including red, orange, green, blue, and black. Additionally, it also comes with a 12-ounce water tank that acts as a reservoir so you can have your cup of coffee in just under five minutes and by following simple instructions. This product is also approved and certified by both the Food and Drugs Administration (FDA) and Underwriters Laboratories (UL).